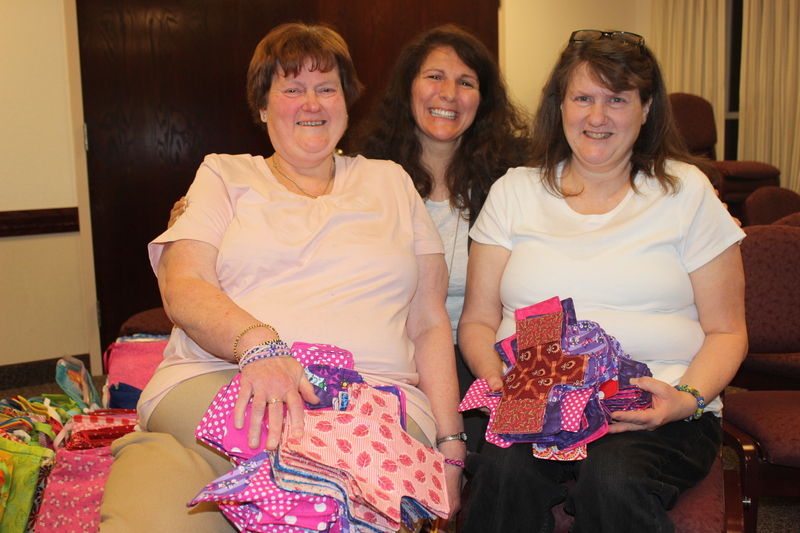 A Fabulous DfG Week with Celeste Mergens! This last week was crazy busy. 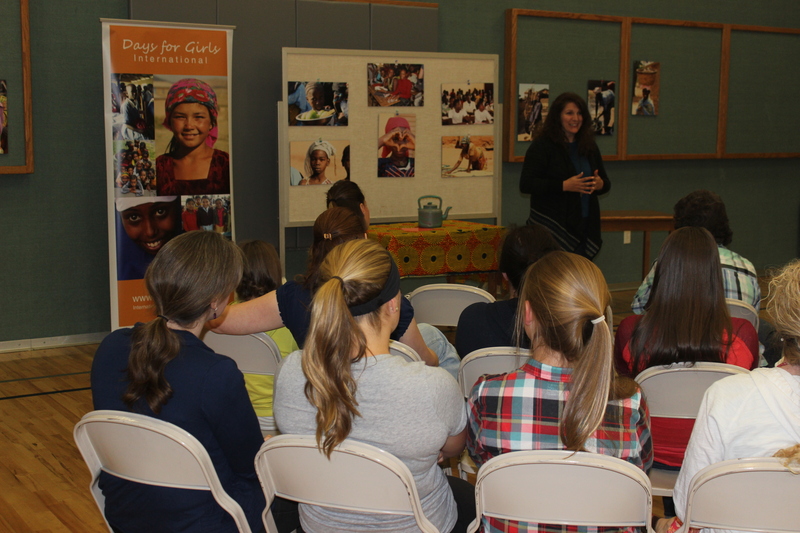 Celeste Mergens, the founder of Days for Girls International was here and we kept her busy, every minute of every day. 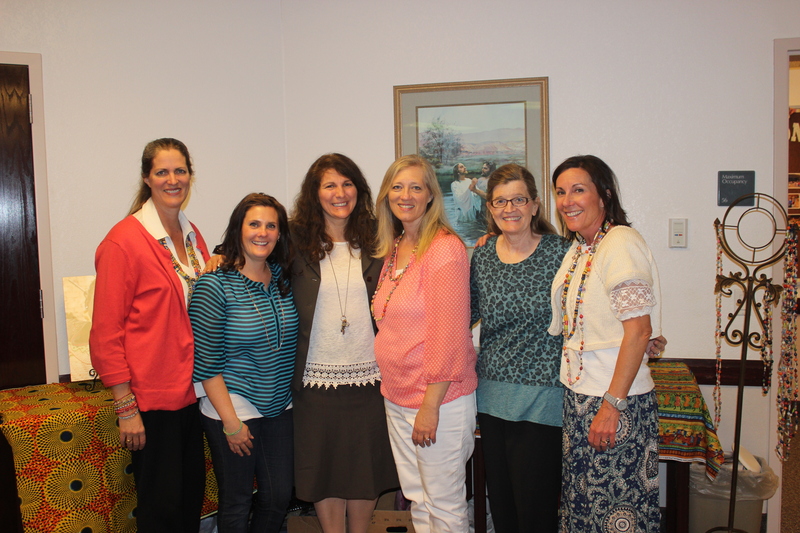 Pictured above are our fearless Utah Valley Chapter leaders: Ann Lewis, Melissa Phillippi, Celeste Mergens, Lorri Cummings, Melissa Clark and Diana Allred. Our week was filled with a Fireside in Logan, appointments, interviews, visits, speaking engagements, DfG Events, and a 2-day Ambassador of Women’s Health Training. 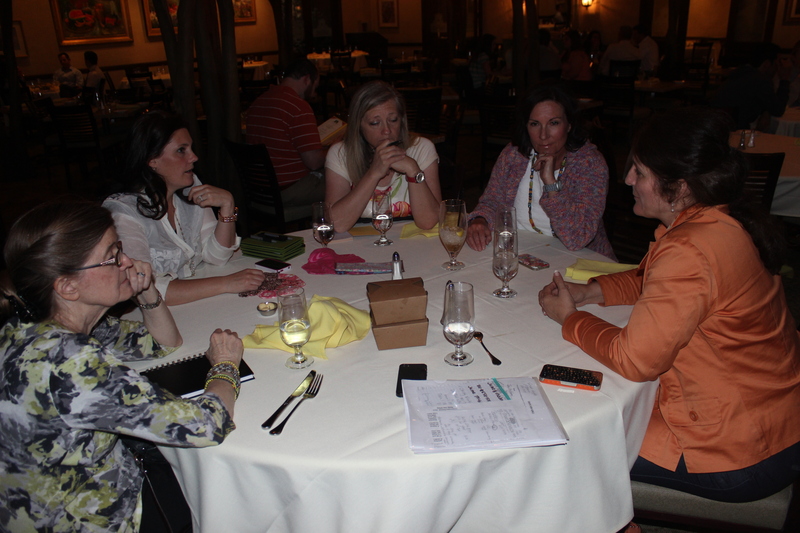 Below are a few photos from some of these events. 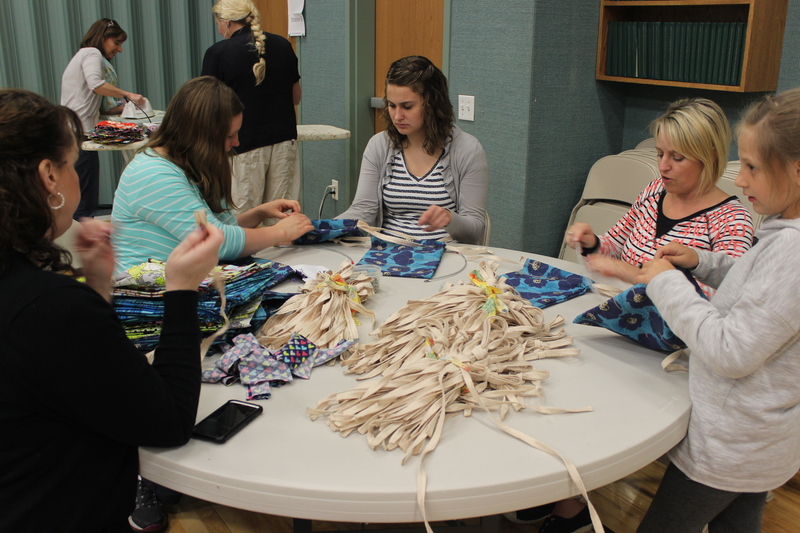 We visited American Quilting in Orem. 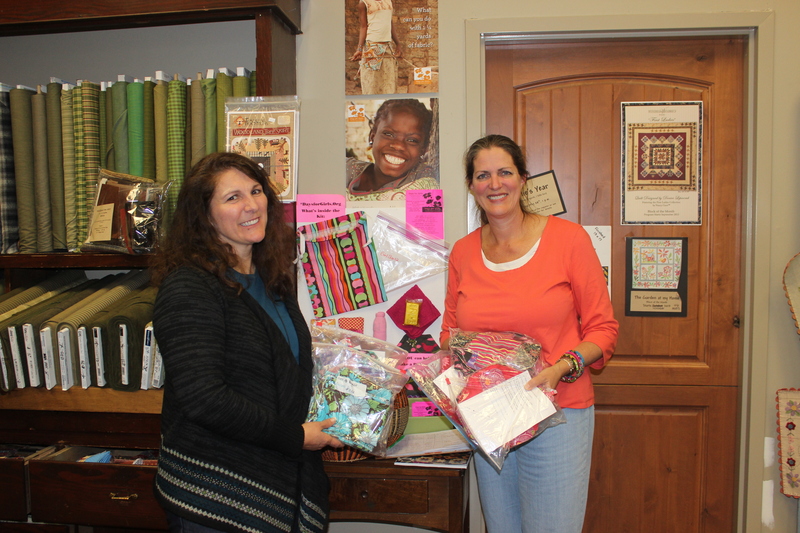 Amy McClellen, shop owner is a generous sponsor of Days for Girls in our area. 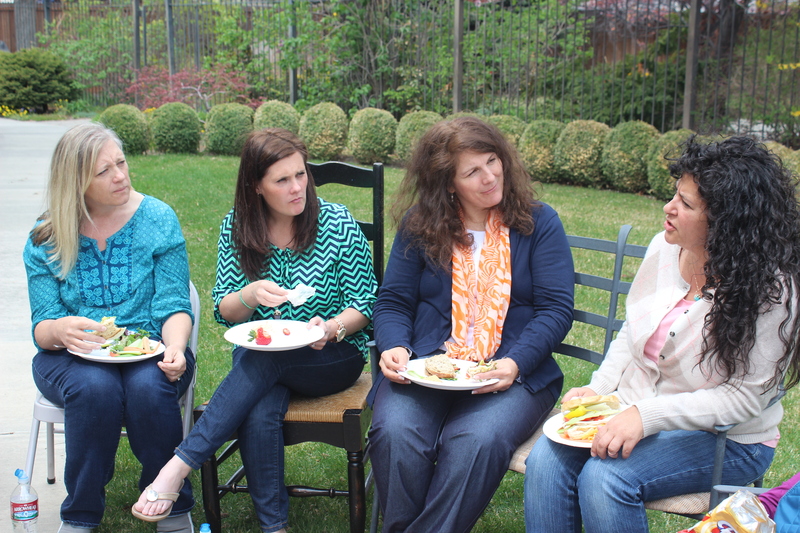 Here we are with some Nursing Professors from BYU. 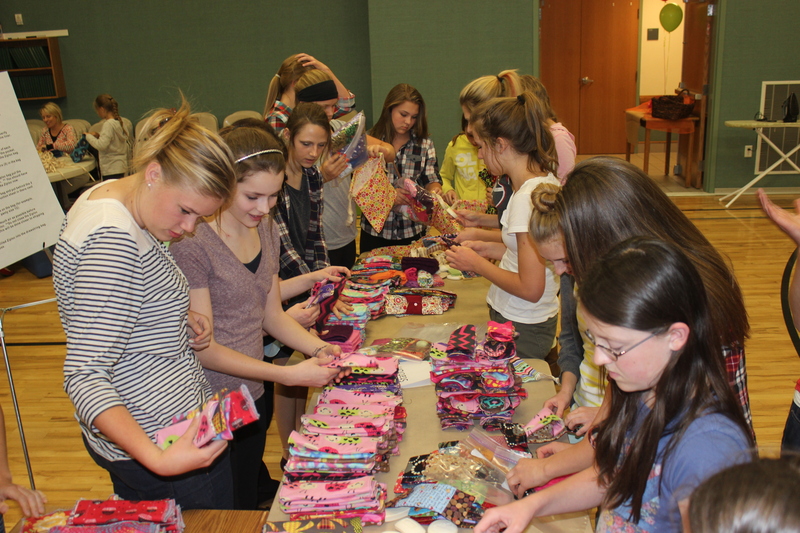 They are taking our kits to Ghana next week! We met with the Ouelessebougou Alliance leaders in Salt Lake to talk about our partnership with our work in Mali. 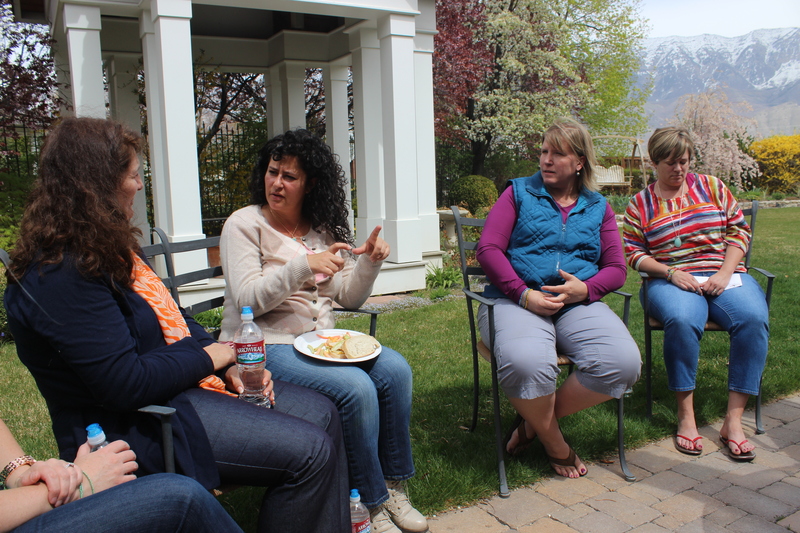 Celeste interviewed with Charlene Winters, writer for the BYU Alumni Magazine. 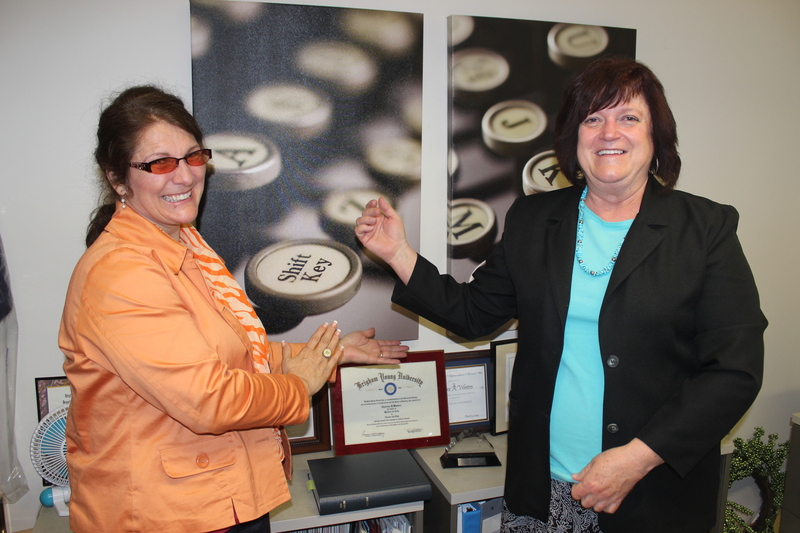 Both sported Shift Keys–Celeste on her ring finger, Charlene on her wall. Dinner with our team at LaJolla Groves in Provo. We had lots to talk about. 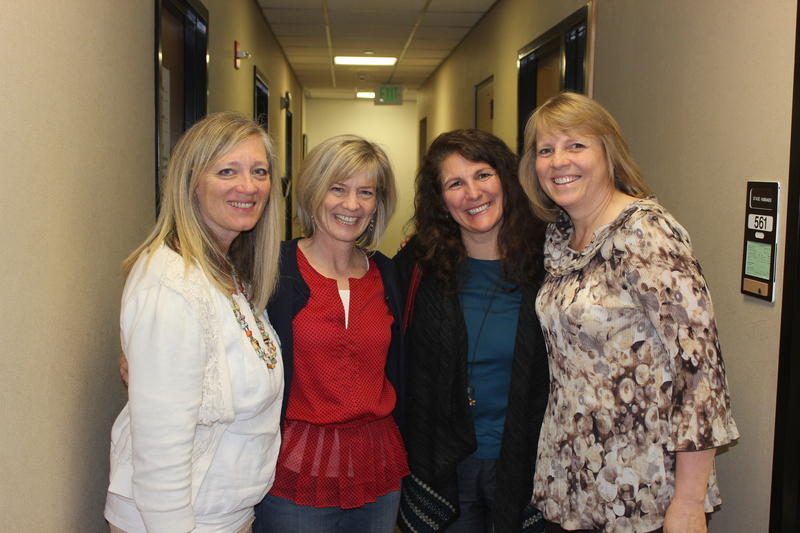 A visit to the Humanitarian Center in American Fork, where Pam Cox showed us around. They do amazing work there. 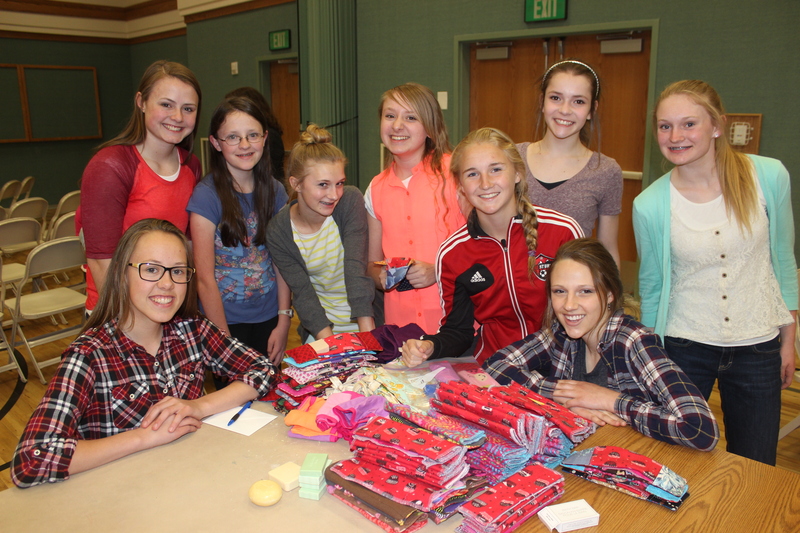 We attended a wonderful event in Springville, where these beautiful young women assembled kits they’ve been working on for the last 2 months. 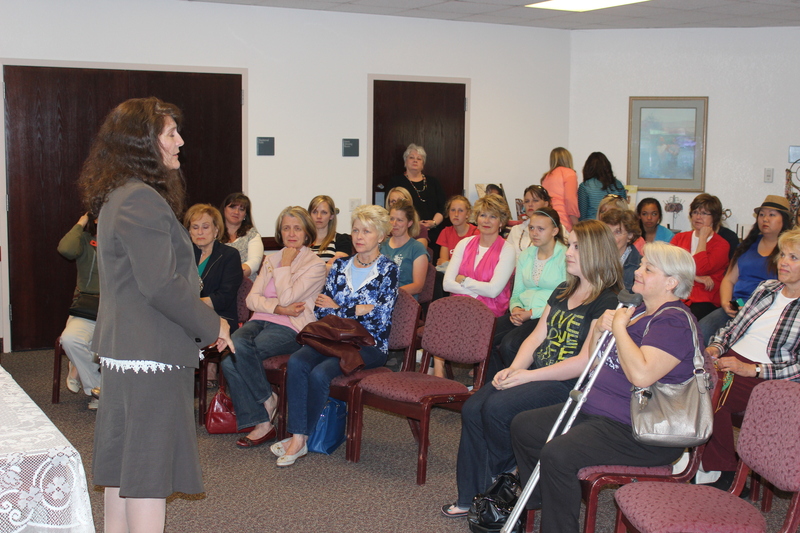 They were thrilled to hear Celeste tell the story of how Days for Girls came to be. 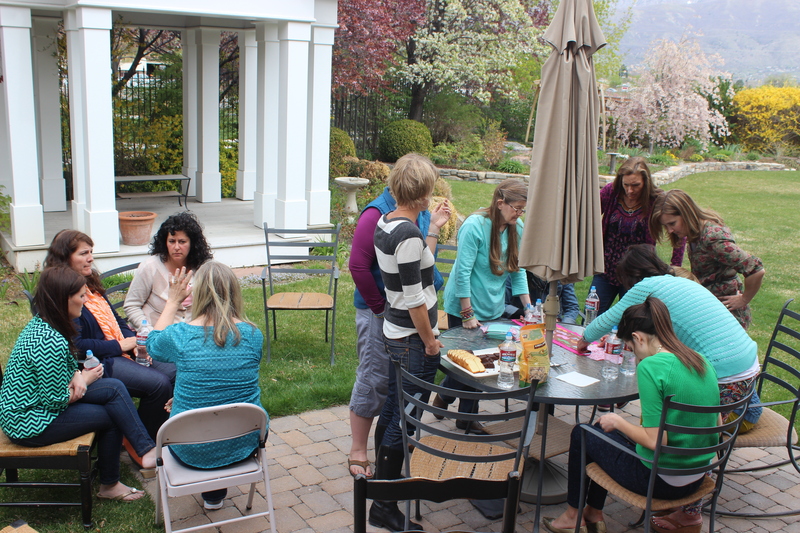 We hosted an Open House for Celeste in Orem, inviting our 100s of volunteers to come and meet her. It was a fabulous evening. 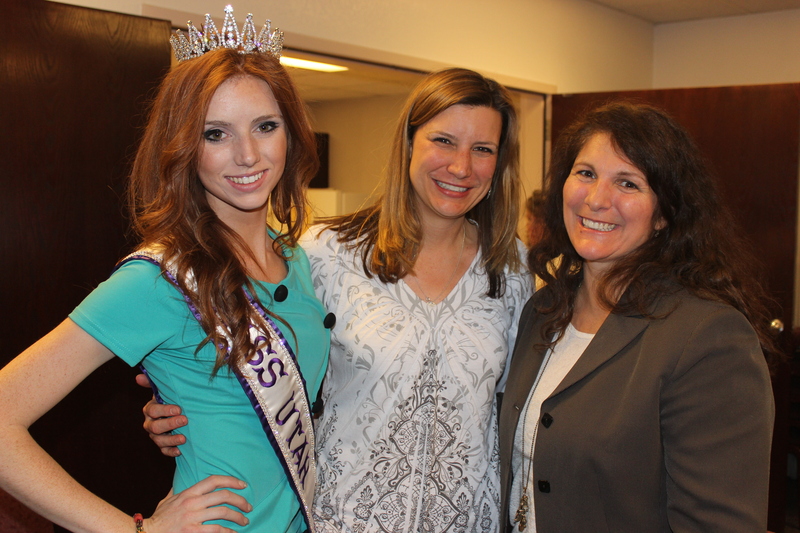 Even Miss Utah International, Lexy Schmid came! Her platform is Youth Service, a perfect match for the work we are doing. 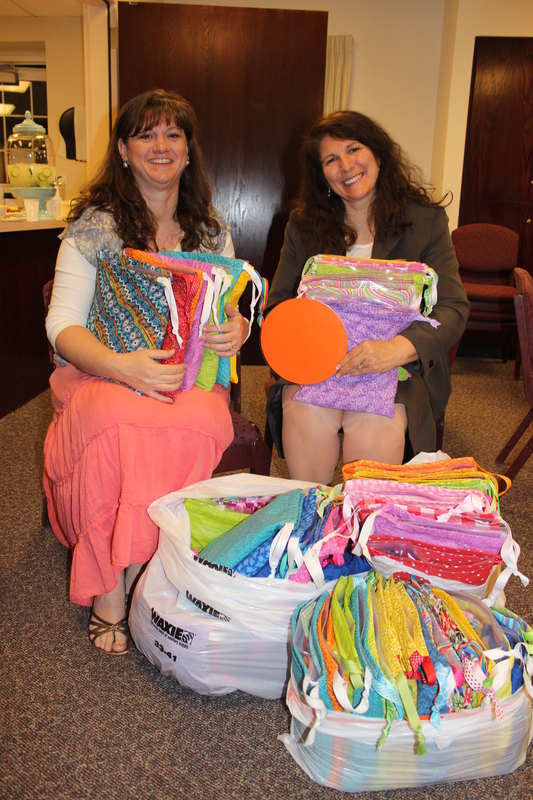 Above, Heather Maxwell from Bountiful delivers colorful kits that will go to Ghana next week and below Celeste thanks Suzanne and Cathy, our champion snappers. 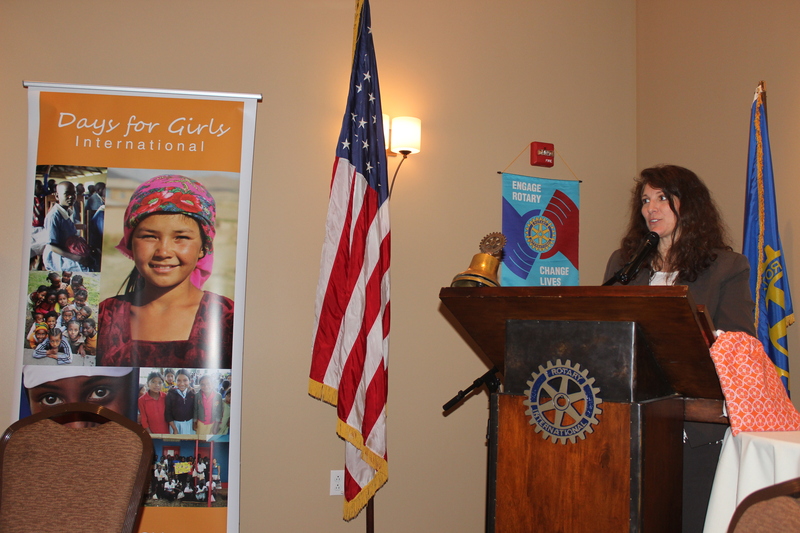 Celeste spoke to the Rotary International Club in Provo/Orem, telling her fascinating story and inviting all to help. 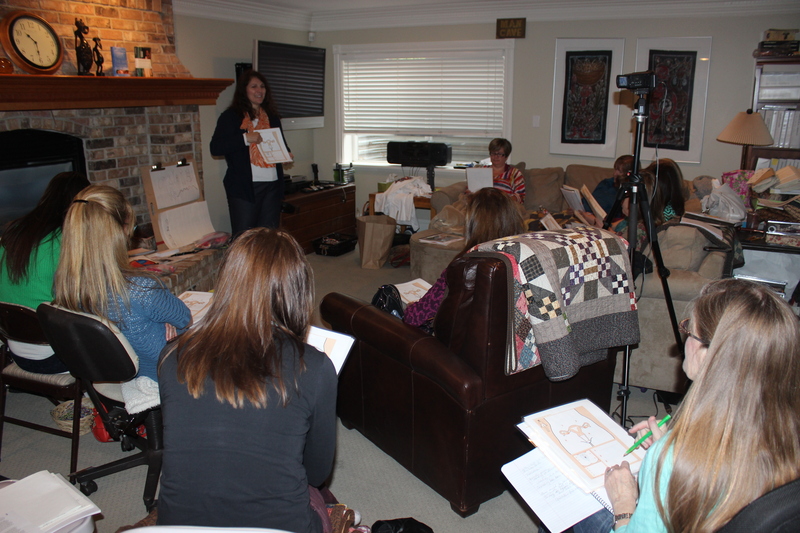 The week ended with 2 days of training for those who will be distributing the kits in other countries and areas. 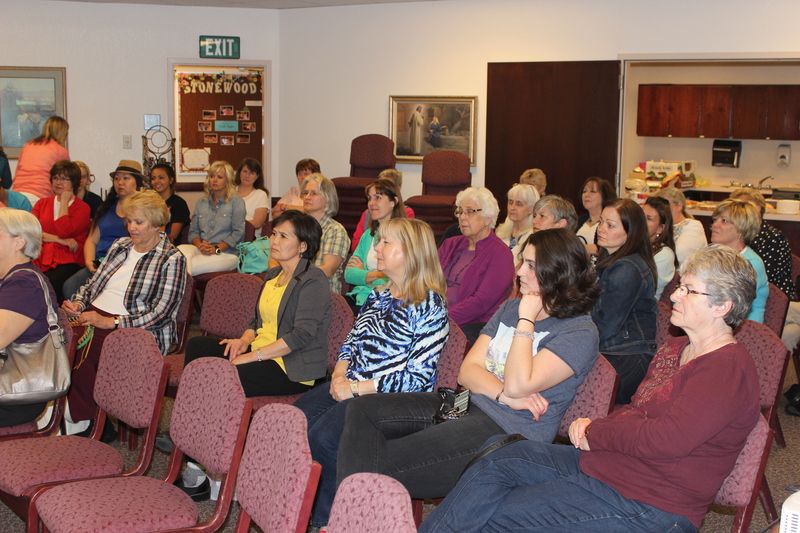 We had 18 attend from all over Utah. Celeste is one Amazing Woman. She has started a ball rolling that will not be stopped. I’m really thrilled to be a part of this movement. It was a wonderful week of goodness. 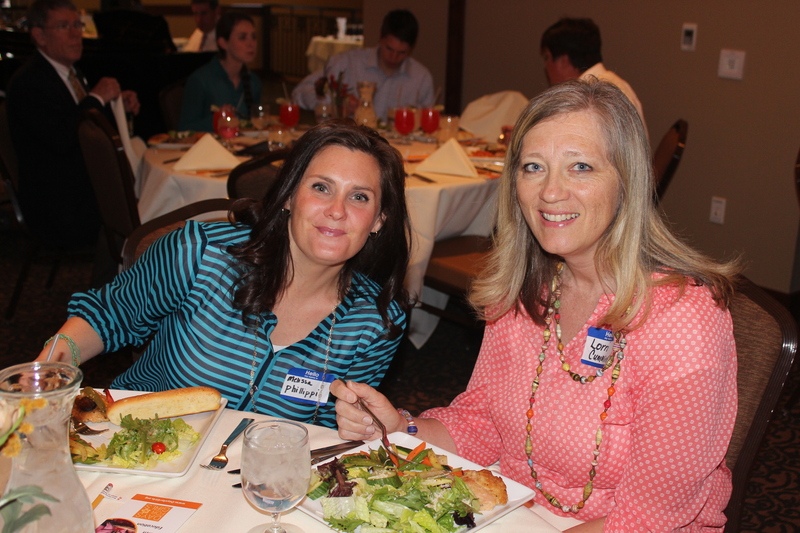 Our Utah Valley Chapter is one of the most active and involved in the country. 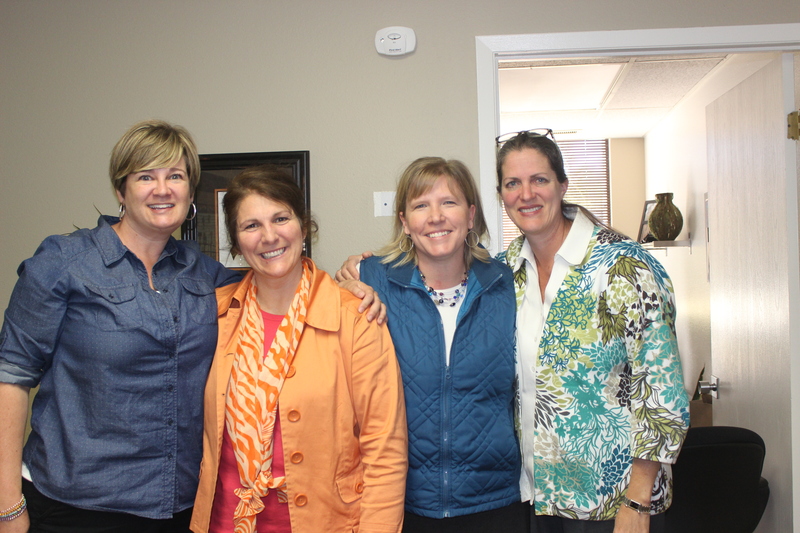 It was great to have Celeste with us as we showed her what we’ve been up to during the last 6 months. 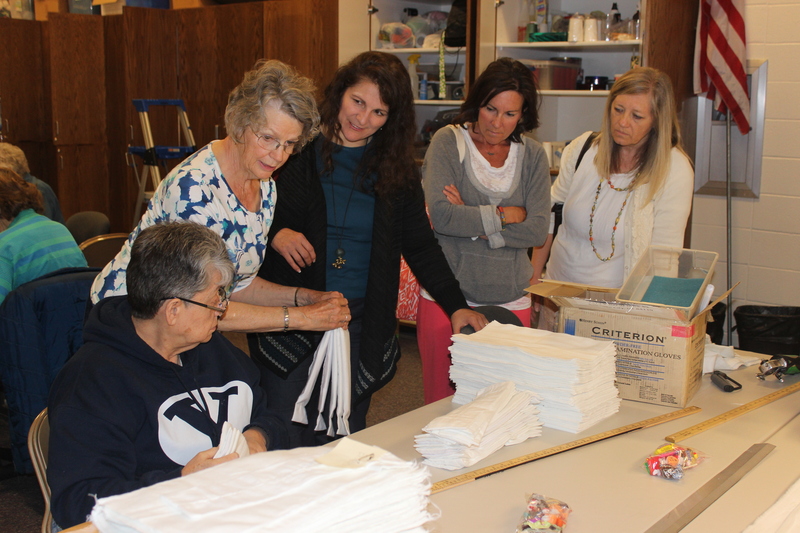 It’s amazing to consider all the good that is pouring out of our Utah valleys. We started our chapter last November, just before I headed to Mali. 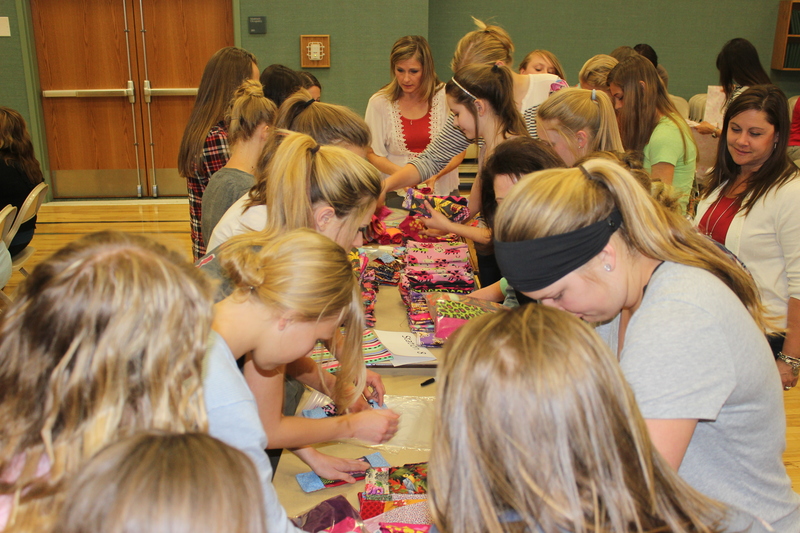 We’ve now sent kits to Mali, Ghana, Haiti, Morocco, and the Sioux Indians in North Dakota. We’ve got more lined up for Peru, Guatemala and Cambodia. 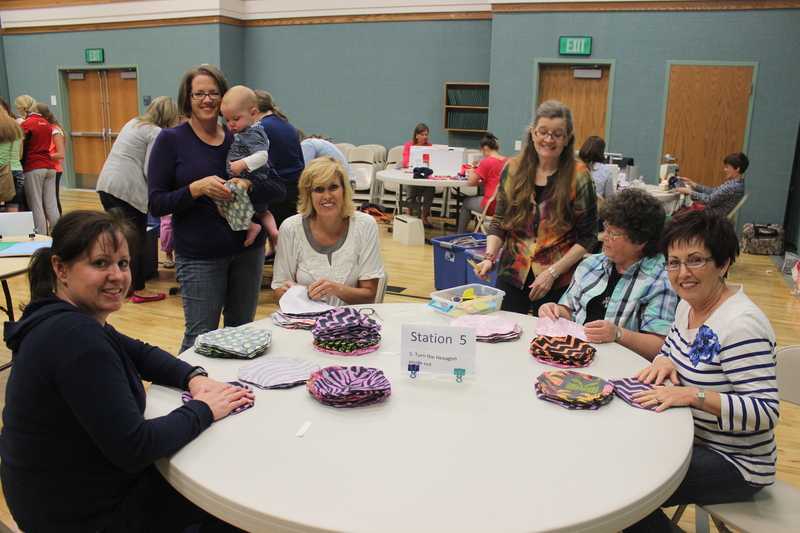 We are helping with events all over central Utah. We need help. We need donations. 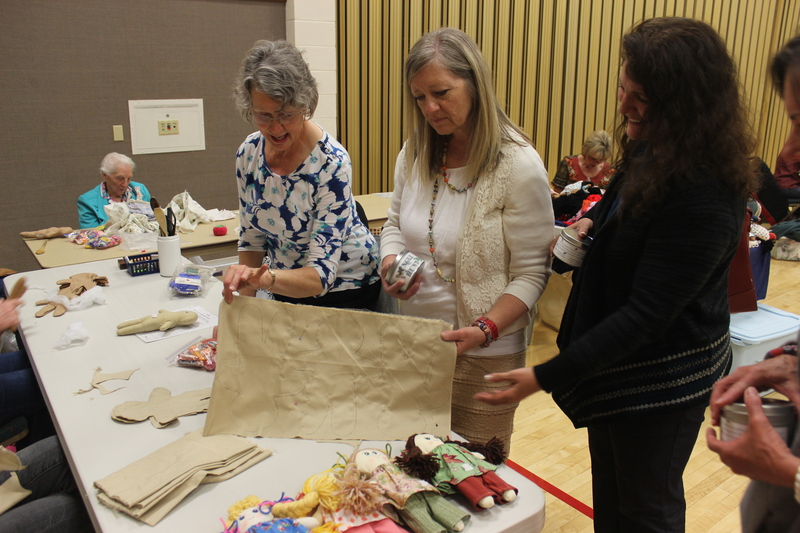 We need help sewing. The demand is huge. Today I received an email from my friend, Bernice in Ghana, who has been distributing kits there. She told me she lives in an area where many people are living in shipping containers. This week she said she called 5 girls and taught them the lesson. 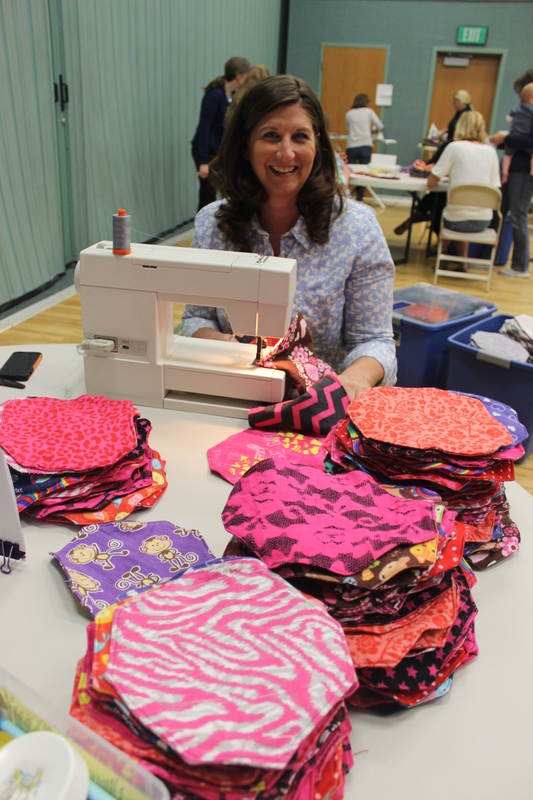 She said, “I was so sad that they have not heard the word VIRTUE before my daughter explained it to them and they were happy.” She is going to try to help them and teach them what the young women in her area are learning. They were very happy to get the kits. Their lives are about to change, as my life has changed in these last 6 months. I am thrilled as I consider the good that is coming into the lives of young women all over the world because Celeste listened to a prompting that came to her in the middle of the night. Some day I need to tell you her story.